Bicycle Victoria events have come a long way since the first Great Victorian Bike Ride some 20 years ago. Gone are the days of showering in the local footy club. Today support vehicles bring showers, toilets, dining and recreational facilities with them. Bicycle Victoria is a self-funded community organisation established in 1975 — independent of government and owned collectively by its members. Each year thousands enjoy the Great Rides put on by dedicated volunteers. 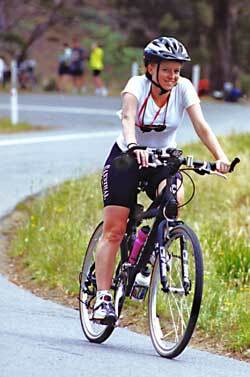 Every second year for a more than a decade now, a Great Bike Ride takes place in Tasmania. 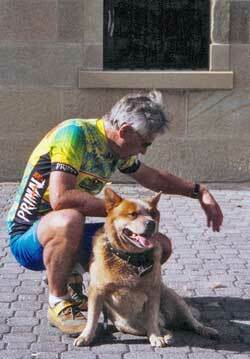 The ride starts in Deloraine, on the Meander River, and travels to the picturesque Lake Barrington. Then on to Cradle Mountain, onto Rosebery and then to Strahan for the rest day. Then on to Lake Burbury, before arriving in Bronte Park. From there it's to Bushy Park and Day Nine sees the cruise into Hobart for the finish. By DMITRI ALEXIEV | My first Great Bike Ride in Tasmania was through the Central Highlands, which was perhaps the most scenic route of them all, into some very remote areas and past many lakes — although always on sealed roads. Of all the extended bike rides I have done in three states only the Great Ocean Road in Victoria compares in beauty to those in Tasmania. In Victoria they get several thousand on some rides; accompanied by doctors and masseurs, reading rooms, yoga and so on. I’ve not been on one of these massive efforts myself. Up to 800 or so riders undertake the Great Tasmanian bike rides, which is organised each second year by Bicycle Victoria. Quite manageable. 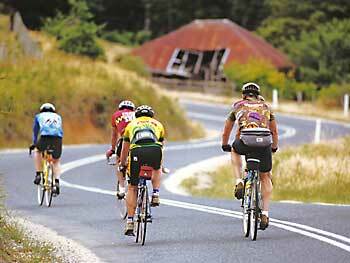 The days’ rides vary in length between 60-80km, occasionally up to 100km. The days go like this: The road opens at 7am and by 9.30am everyone should have breakfasted and left. A sweep car checks for stragglers, the camp support facilities tents are dismantled and the luggage trucks roll off. A bunch of volunteers looks after these sorts of things — the volunteers have as good a time as the riders. Maybe better, because they work as hard but they do not have to cycle up hills. Early birds get up when it’s still barely light — there’s always a bunch that want to get up virtually in the dark, to shower, toilet and get along for breakfast. Early birds get going just as soon as they can, avoiding heat and any traffic in town and before the timber trucks come along. The worst part of riding in Tasmania is timber trucks. They zip around and are quite daunting when they pass a metre or so away. The truck drivers don’t drive slowly, but they do try to give you enough room. It’s usually okay but they are big! Clever people who’ve been on previous rides soon learn that queues for the carnivores are much longer so they become vegetarians for the week. There’s a good selection for breakfast which divides, as does dinner, into dining for vegetarians and carnivores. Clever people who’ve been on previous rides soon learn that queues for the carnivores are much longer so they (and I am one of them) become vegetarians for the week. Then you put your camp gear into the truck, pick up a packed lunch and cycle off. The sweep car, which is also known as the sag wagon, drives behind the pack during the day and picks up anyone who feels they can’t continue. Water is organised along the way and locals offer things for sale, which goes into community funds. It’s very cosy. When you get to camp you have to find your bag in the truck. There are two big lorries carrying tents and other personal equipment and you first must remember which truck you put yours on. It’s always a bit of a task finding your bag in the middle of so much luggage. We all pitch in to help unload the trucks. Then it’s put up your tent, hoping you will not be near a snorer, wait for the shower trucks to get operational and you have the rest of the day to yourself. That’s when groups of us might go into town. Sometimes to the consternation of the locals in very small communities … I remember when several of us, still in our “parrot” bike-riding gear, which tends to be colourful in the extreme, decided to drop into a small bush pub for a drink while waiting for the shower facilities to come on line. We walked into see a clutch of bushies moodily drinking beer and giving us hostile sidelong glances. At which the men turned as one to stare deep into their beers. Silence reigned. “Don’t worry,” said a large Dutchman in a loud voice and in language (modified here) as colourful as his Lycra outfit. ”We have’t come to race off your women. We’re all gay …"
Most townships welcome us with open arms, and some put on entertainment. A horde of nearly a thousand, when you include volunteers, drivers and marshalls as well riders, brings a good economic boost to communities and I believe that they vie avidly to be a host camping spot.